"An excellent barrister whose knowledge of complementary civil proceedings and of a number of key international jurisdictions sets him apart from many other juniors…" “…highly intelligent and someone with a prodigious appetite for work who is a real rising star in both the civil as well as the criminal fields..." "...he's very intelligent, very good at paperwork and he produces fantastic arguments with great attention to detail..." "...Exceptionally bright. Organised, well prepared, and very good at written work and pleadings, he is approachable and places the client at ease..." "...He works so hard, is bright and is very good with the client. He is also proactive rather than reactive..." "...If you instruct him as a junior you get silk standard advice..." "…He is approachable, jargon-busting, and a man with an eye for an unusual legal argument…" "…Faisal's relaxed, approachable manner belies his meticulous attention to detail and careful preparation…"
"...Strong practitioner specialising in the domestic and international civil recovery elements of commercial wrongdoing disputes. He regularly advises claimants and third parties on asset recovery matters, and also handles confiscation, fraud and regulatory enforcement..."
Faisal advises and acts in the civil and criminal commercial wrongdoing disputes particularly in cases with foreign dimensions (with a focus on the DIFC Court). The core of Faisal's work relates to domestic and international civil and criminal asset recovery on behalf of governments and commercial organisations and the worldwide enforcement of judgments and awards. His work also includes commercial litigation, corruption, fraud, regulatory enforcement, sanctions and professional discipline. 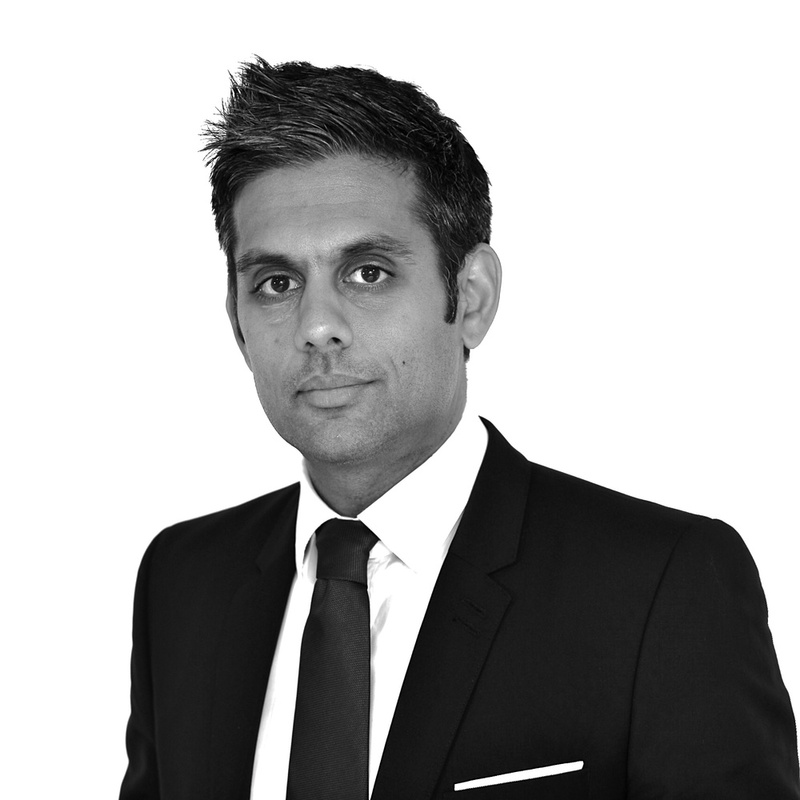 He has been a presenting advocate to the Taxation Disciplinary Board tribunal; the independent disciplinary body of the Association of Taxation Technicians and Chartered Institute of Taxation since 2008, and has defended before the ICAEW and ACCA tribunals. He also provides technical assistance for capacity building in respect of anti-corruption, asset recovery and money laundering across the Commonwealth. A Federal Republic v (a Bank) - $875m High Court claim against a major bank concerning the handling of a corrupt oil block deal. A and Ors. v ML, WH (a Company) and Ors. Complex proprietary claim relating to an Middle Eastern investment fraud. A v (a Liechtenstein Trust Foundation) and A (DIFC Court, Dubai Courts) - attachment of a superyacht following UK's largest divorce. NG (Cyprus), QGICO (Qatar), TR (Bahrain), Sheikh N A-T (Qatar) and Ors. v a Firm (UAE) (DIFC Court)- Commercial Claim following FINCEN enforcement of a Lebanese bank ($125m). P v L Trustees (and Ors.) (Cayman Islands Commercial Court) Multi-jurisdictional trust dispute with claims in the Cayman Islands, BVI, Liechtenstein, Israel, England and the United States. KSY v UAB (DIFC) - Part 8 claim for declaratory relief alleging conspiracy to forge personal guarantees by lending institution. UEL v BS - Unlawful conversion and proprietary claim of funds misappropriated by company 'Finance Director'. (A Charity) v PP Fraud, conversion, personal and proprietary claims on behalf of an international charity; victim of a large scale misappropriation by a corrupt employee. G v S - (for a third party) - dishonest receipt of a McLaren F1 GTR Long-tail. Receivers of a Cayman Islands Segregated Portfolio Company on Behalf of ALFF v RH (and 11 others) - Unlawful means conspiracy, breach of contract/fiduciary duty and dishonest assistance (£100m). IE (Europe) v NE - Civil fraud and unlawful conversion of company funds between the UK and the USA. Involved WWFOs, DOs, and TPDOs. Judgment enforcement advice tendered to the Claimant's US Lawyers. DG v 17 GSL (and Others) - Section 994 CA 2006 unfair prejudice claim/derivative proceedings on behalf of a company director seeking redress for his co-directors’ breach of their Companies Act statutory duties. A Ltd. v HMRC - First tier tax tribunal appeal of a decision to deny recovery of input tax (circa £18m). EAH Ltd. v HMRC - First tier tax tribunal appeal of decision to deny recovery of input tax involving UK supplied helicopters held under US owner operated trusts for the purposes of registration with the US Federal Aviation Authorities. Nigerian Asset Recovery - Recovery of £85m for the Federal Republic of Nigeria following corrupt disposal of oil blocks by former energy minister. Tripartite MENA/GCC/Swiss asset recovery claim with comparative analysis of Lebanese, Swiss penal codes (civil and criminal). Strategic advice relating on MENA region sovereign stolen asset recovery claims (Libya and Egypt). Lister  EWCA Crim 2290 Whether the value of drugs for the purposes of benefit ought to be assessed upon resale value at a future date. R v JE - Highly complex asset recovery proceedings involving a network of off-shore SPVs, shadow directors, phoenix companies and a firm of corrupt attorneys. R v HSB - Substantial asset recovery proceedings following a multi-million pound cross-border fraud involving hidden assets in the UAE. Re: a Cayman Islands Lending Institution -Application of CI PoCL 2008 (confiscation and money laundering). R v D (Third Party Interest) - Competing civil claim by corporate victim asserting proprietary interest and subrogation. HMRC v PS, THL (a Gibraltar Company) Intervening third party corporate applicant (s.301 PoCA). Defeated allegation of Directors' corruption. HO v AGP, BG, FH (MSS) (A Supermarket Company) Part 5 PoCA proceedings advanced on the basis of 'seemingly unorthodox' banking practices (defending). R v Birmingham Magistrates' Court ex parte Sanghera  EWHC 3323 (Admin) - Successful judicial review of confiscation warrant of commitment. Advice on all aspects of bribery and corruption including compliance, criminal liability, civil actions by commercial victims to disgorge profits, damages or other relief (UK and overseas) and post-conviction liability (monitoring, confiscation/civil recovery, liability and implications under the EU Public Procurement Directive). Re: A US Drilling Company - Advice on the acquisition of a UK company with overseas operations in Central Asia and the Middle East. Corruption had been uncovered and unlawful payments identified. The possibility of money laundering offences (et. al) were a concern. Re: An EU Technology Corporation - Advice on criminal liability, consequential civil actions and compliance with the Bribery Acts arising out of overseas corruption by a UK national, (assigned to an EU parent company) employed to negotiate contracts with a West Indian Distributor. The Taxation Disciplinary Board Tribunal (Since 2008) - Presenting advocate to the tribunal; the independent disciplinary body of the Association of Taxation Technicians and Chartered Institute of Taxation. TDB v BJR - Trial of complaints relating to highly acrimonious breakdown of a member/client relationship. Prosecuted before the Tribunal to conviction (Member’s appeal dismissed); for the TDB on issue of debt recovery proceedings before the County Court; summary judgment (abuse of process/strike-out) before the County Court; Member’s counter-claim dismissed (in excess of £100,000); defeated Member’s appeal to Circuit Judge and Court of Appeal. TDB v SD - Trial of a series complaints relating to ‘phantom billing’ and unprofessional behaviour towards two vulnerable clients. (All 10 charges proved). TDB v Deborah Annells - Prosecution of Hong Kong CIOT Fellow upon allegations of multi-million HK$/AUD$/€ misappropriation from a series of clients in Hong Kong, Singapore and Australia. TDB's most complicated case to date. (All charges proved; now subject to a criminal prosecution in Hong Kong). ICAEW v F Tax (a firm) - Defending multiple breaches of the audit and accounting rules. FSA v GS and Others - FSA Market abuse and insider dealing allegations involving City of London traders. BIS v JGS - Trial of an un-discharged bankrupt for material omissions made to trustee in bankruptcy; subject to a £100m world-wide civil freezing order. R v JP - Multi-million pound fraud allegation against an IFA, indicted with offences contrary to the FSMA 2000. Law Society (SRA) v R, MF and others - Injunctive relief in the intervention of two connected law firms. Advising an Investment Firm as to their position in a ’split caps’ investigation. The Regulator alleged collusion between top-tier firms. Advising UK international firms on UK Treasury/UN sanctions against listed companies, bodies and individuals. Advice on individual transaction and company-wide money laundering and corruption compliance. Capacity building on behalf of the Commonwealth Institute's Nigeria anti-corruption and criminal confiscation programme. Operation Amazon - The most complex tax case HMRC have ever prosecuted. For the first defendant (sub judice). R v MH - Successful appeal (Court of Appeal) relating to an insider fraud at a leading investment bank. Operation Vaulter - Conspiracy to defraud involving ‘contra-trading’ and offshore operations in the United Arab Emirates. R v S,T &T - Fraudulent manufacture of substance detection devices sold to private and state security forces worldwide. R (On Application of the Chief Constable of Greater Manchester Police) v City of Salford Magistrates’ Court ex parte Sarwar and Sons Knitwear Limited; Sarwar and Sons Knitwear Ltd. v The Chief Constable of Greater Manchester Police (2008) - Judicial review relating to civil cash seizures and the meaning of property ‘obtained by unlawful conduct’. R (On Application of AFC, AA) v C Magistrates’ Court ex parte Her Majesty's Revenue and Customs - Judicial Review of HM Revenue and Customs’ investigatory conduct relating to film scheme tax relief and input tax recovery. Co-author of ‘Mitchell Taylor, Talbot: Confiscation and the Proceeds of Crime’. Update and Rewrite of Model Provisions on Money Laundering, Terrorist Financing, Preventive Measures and Proceeds of Crime (for common law legal systems) For UNODC, Commonwealth Secretariat and the IMF: Update of 2009 Model Provisions to incorporate the present law and relevant international instruments concerning money laundering and financing of terrorism, including UNCAC, FATF 40 Recommendations and the OECD Anti-bribery Convention. Consultant to the Government of Bahamas Proceeds of Crime Act, 2016. Root and branch review of the pre-existing Proceeds of Crime Act followed by the design and drafting of a new 'gold standard' asset recovery law (including preventative measures and money laundering offences).